Holidays is one of best time of year which I love to bake a lot, yes it includes baking Christmas breads and cookies from various parts of the world. My kids wait for Santa to bring their gifts. My daughter even started making cross in the calendar before going to sleep every day to check how close the Santa is coming. They already asked me to make chocolate chip cookies for Santa and milk. Since we don’t have a chimney in this house we need to keep on the lights so that Santa can make his way and give them the present. 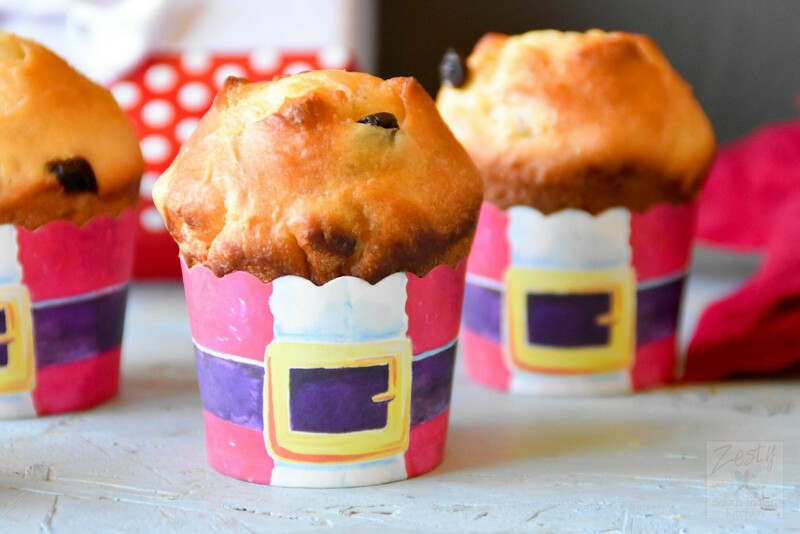 I am happy to make this cute mini panettone using Bob’s Red mill All-purpose flour. When it comes to bread, I like to make it at home if possible. Just out of curiosity I bought a small panettone from my Middle Eastern grocery store, and never realized I was buying a rock. It was hard and not soft as I had expected. I immediately threw that into the garbage can. So I decided to stick to my panettone making idea. I have been trying to make panettone for last few years. 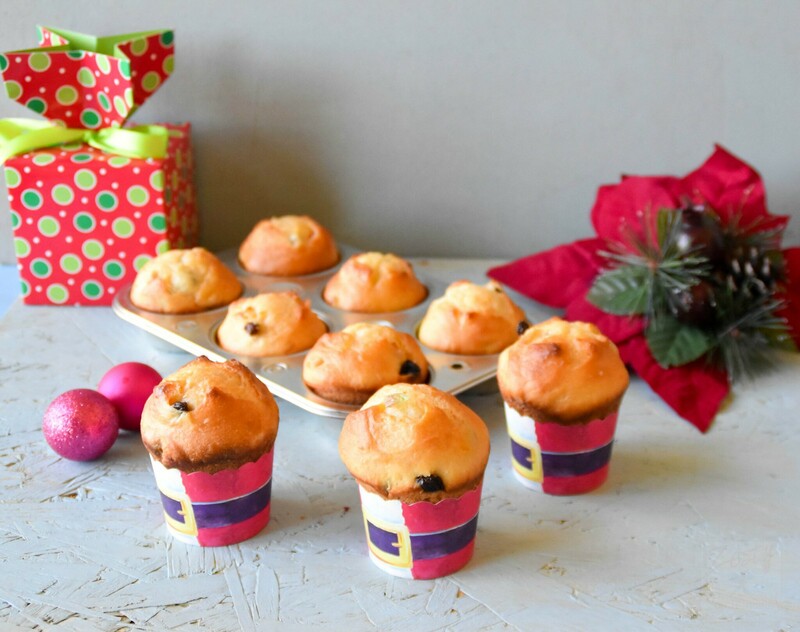 Finally I found out a perfect way to make this mini panettone, these are delicious, cute and excellent gift idea you can share with your friends and family. I have given some to my friends. Panettone is a type of rich sweet bread originally from Milan usually prepared and enjoyed for Christmas and New Year in Italy, and is one of the symbols of the city of Milan. Panettone is a leaven cake and dates back to Roman times, and there is written proof linking this bread to Christmas goes back to the 18th century. It wasn’t until the 20th century that commercial bakers decided to make panettone on a large-scale, thus decreasing the price and increasing Panettone’s popularity as a Christmas gift. When guests visit during the holiday season, a loaf will often be brought out and served with sweet wine or coffee. I like the folk legend about panettone, Once upon a time, a handsome young Milanese aristocrat man, Ugheto Atellani loved falconry. His favorite place to fly his falcons was near a poor baker’s shop. As he sat under a fig tree, waiting for his falcons, he could see the baker’s beautiful daughter Adalgisa, hard at work. Of course, Ugheto fell in love and couldn’t bear to see the object of his love, work so hard for so little. He disguised himself as a poor farmer and offered to work for the baker for free. He discovered he enjoyed baking; however, he didn’t feel the coarse corn cakes/bread that baker made for Christmas were worthy of the work Adalgisa put into them. He decides to buy the fine flour and eggs for Christmas bread, and for that Ugheto sold his beloved falcons. He added dried grapes and candied fruits. Word of the wonderful bread become widespread and the baker became very successful. Ugheto removed his disguise to reveal who he was and asked for Adalgisa’s hand in marriage. The duke of Milan, Ludovico Sforza arranged the wedding, for which Leonardo da Vinci also came as a guest. Of course, the cake-like bread was featured at the wedding and became known as Pan de Ton which, in local dialect, means “the bread of luxury”. Traditionally Panettone is made with sourdough and raised three times. However for this recipe I used instant yeast and it rose three times. This recipe is adapted from Bread by Dean Brettschneider. I modified the recipe as usual and added secret essence of Panettone, Fiori di Sicilia is an extract that combines vanilla, citrus and flower essences. “Flowers of Sicily” is what it literally means. It was in my list for long time finally bought it to make this panettone. 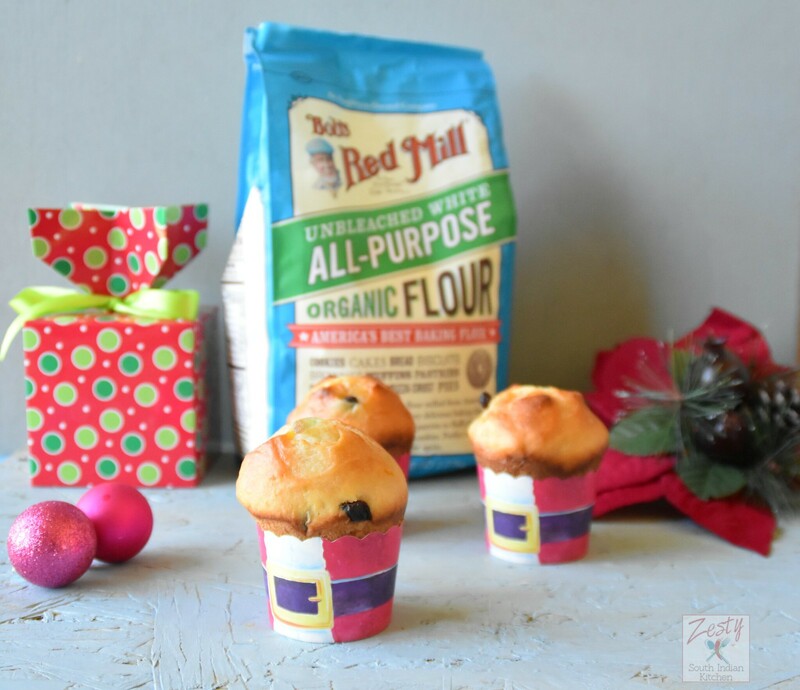 When it comes to making goodies for baking I go with Bob’s Red red mill flours whether it is sourdough bread, cake or cookies. I like their variety flour as it give me perfect result every time. For this I used all purpose four as it has same high protein flour used by professional bakers and produces high, well-textured loaves of bread equally as well as it produces light, airy baked goods. This kitchen staple is incredibly versatile and perfect for all of your baking needs. For making this mini Panettones, you need to make sponge the day before, and the next day mix it with butter, eggs and sugar and allow them to double in size at room temperature and then add Fiori di Sicilia, orange zest, rum soaked raisins and candied fruits and mix well and rise it one more time. Then divide and bake it in your muffin tin. Make sure to grease them well with butter. You friends and family love these small treats it is nice way to spread the cheers during this holiday season. Why wait start baking. In a plastic bowl add all the ingredients, mix and knead well for 5 minutes and to form dough. Cover it with plastic wrap and leave at room temperature for a minimum 8 hours or preferable overnight. After overnight or 8 hours sponge will look like this. Place the raisins in a bowl and add rum and toss to coat and cover it overnight. Add mixed fruit peel just before mixing it into the dough. Fiori di Sicilia into kitchen aid mixer bowl fitted with dough hook and mix to combine. Then add egg yolks and water and mix once again to combine. Then add soften butter over 5 additions while still kneading. This process will take some time at first the dough will be soft and sticky at first then knead for 10-15 minutes. Resting the dough for 1 minute every 2-3 minutes until it becomes very smooth, elastic, soft and shiny. Set aside for doubling in size in a lightly greased bowl for about 1 hour. knead once again until you incorporate the entire fruit into the dough. Set aside for double for about 35 minutes. Then divide the dough into 12 equal pieces of about 50g dough and place it into a buttered muffin tin. Let it set aside to rise about 30 minutes. bake it for about 15 minutes or until it becomes golden brown color with dome on the top. Once it is removed from the oven immediately brush with melted butter and leave it cool. You don’t need to hang the panettone as we need to do for the regular panettone. These are adorable! Great for the Holidays! 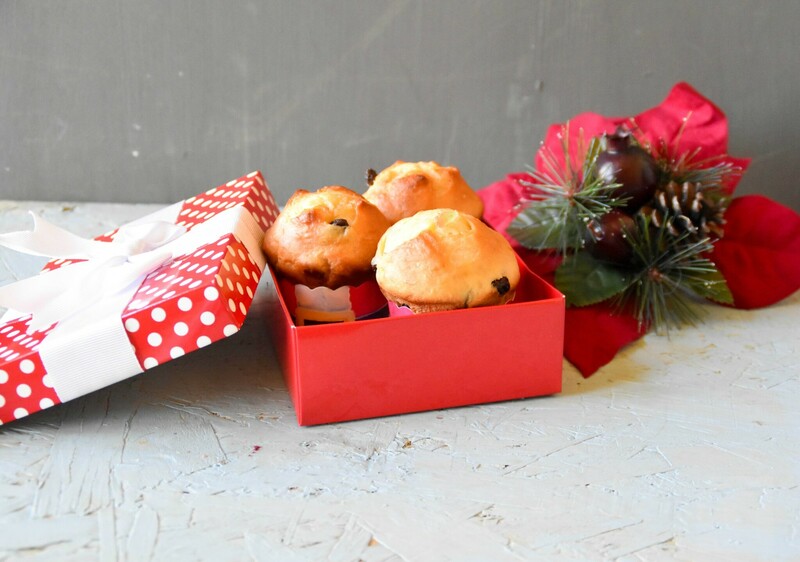 I love panettone (and Bob’s Red Mill) and these are so cute and festive. 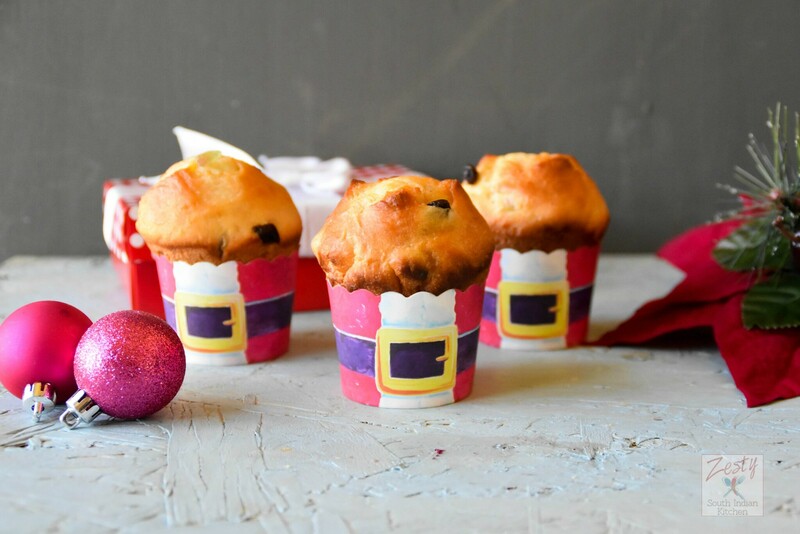 These mini Panettone are so cute! Great step-by-step instructions. These mini panettones are so adorable! 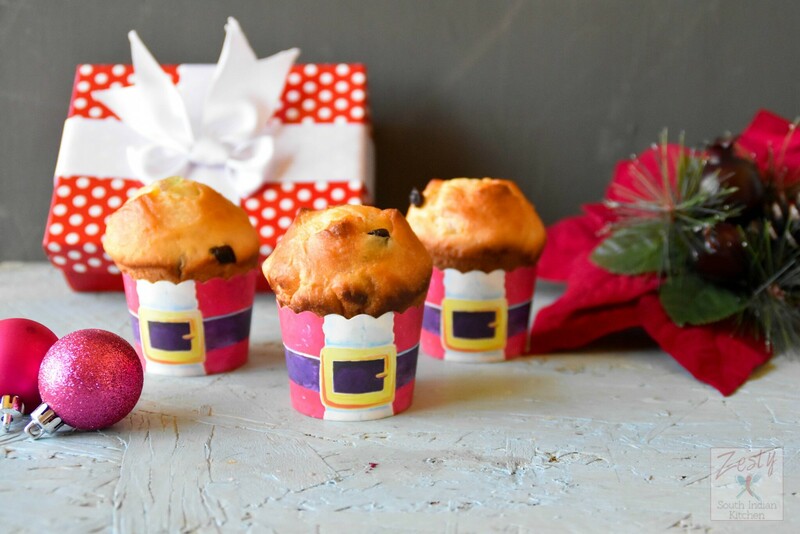 A full slice of panettone can be so rich sometimes, these portioned bites looks perfect for me! These are so cute. They would be perfect for a Christmas brunch. The pictures are a help, since I’m not much of a yeast bread baker. I would love a box of these for Christmas! Such an interesting recipe, Swathi! Tweeting and pinning to try later! Thank you for sharing! Swathi, these are adorable! I must make them one day soon.